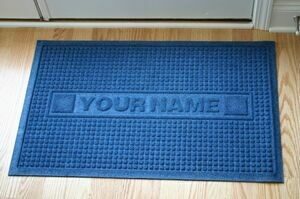 Characters are permanently molded into the mat by using an interchangeable letter mold to create your name on the mat. Click on the picture to see more information and request a quote, etc. Shipping isn’t included in the price but is approximately $12.00 per rug.